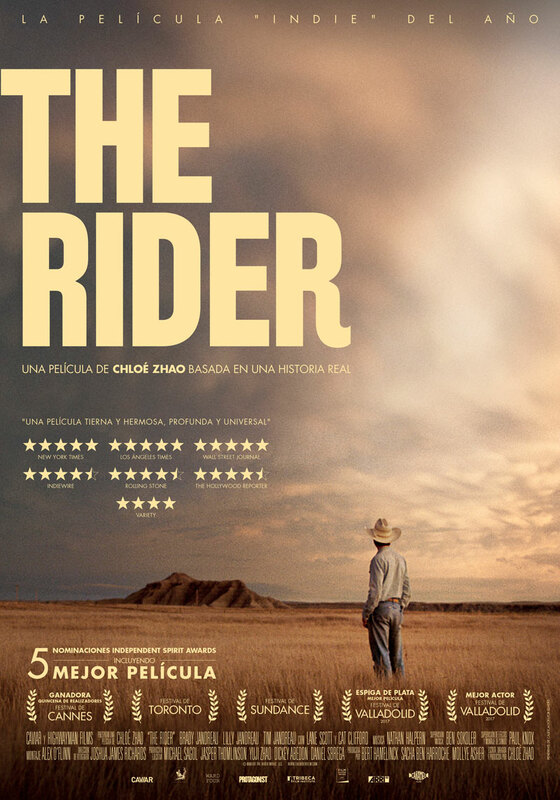 Poster design for the film ’The Rider’, directed by Chloé Zhao. Starring Brady Jandreau, Tim Jandreau, Lilly Jandreau, Cat Clifford, Terri Dawn Pourier, Lane Scott, Tanner Langdeau, James Calhoon, Derrick Janis, among others. The story is about one of the stars of the rodeo and a talented horse trainer, Brady, who suffers an accident that makes him unable to ride again.